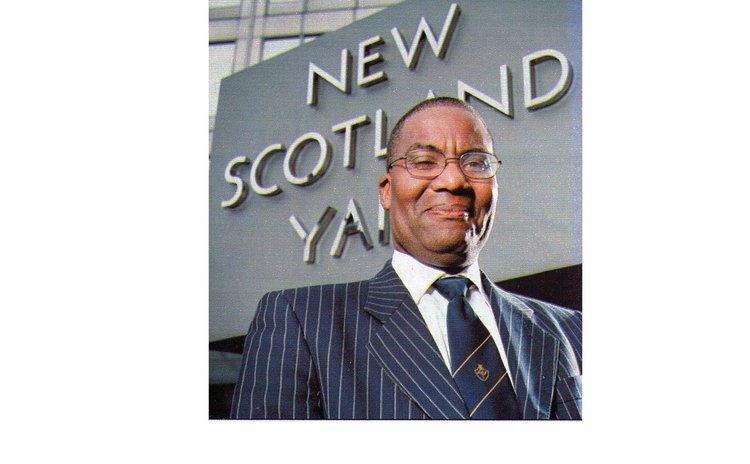 It was an apparent case of schadenfreude that brought the two together, now commissioner of police Daniel Carbon and retired Scotland Yard officer Dr. David Michael seem as far apart as any. "I went to see Mr. Carbon the year before when Joshua Etienne was killed in police custody in Portsmouth, I went to speak to him about this matter, including the way the police welfare association was going about it – bearing in mind the loss of life they were quite bullish about it and they never expressed regret," Michael told The Sun. It was there that they spoke about the state of the force, including its relationship with the public it has sworn to serve, and it was there that Carbon agreed that he would welcome some recommendations on everything from community policing, leadership and command to accountability, reporting of crime and incidents, investigation of crimes and incidents, and how police officers behave when they are in the community. So the Bellevue Chopin-born former New Scotland Yard officer prepared a seven-page report full of recommendations which, after more than a year, appears to be lying on the proverbial shelf. "I haven't really had a formal response from Mr. Carbon about it," he told The Sun in a telephone interview from the United Kingdom. Carbon was said to be in meetings all day and would not be available to speak to The Sun. However, The Sun obtained a copy of the report designed "to enhance the effectiveness, efficiency and the good name of the Commonwealth of Dominica Police as well as engendering trust and confidence in the wider community". Although it contains no specific recommendations on how what was being advised should be achieved, the report called on the police top brass engender a culture "where the aims, objectives and key priorities" of the force are communicated clearly to both the officers and the public. In the report, he former New Scotland Yard officer was clear about the position the police should take on party political issues. "The operational independence of Police is crucial to engender community trust and confidence. Police Officers should be politically restricted and should play no part in openly canvassing for any political party at any time and especially at election time", he said in the report. It also recommended that police officers should always conduct themselves like model citizens. "Our police service needs to engender trust and confidence in the community. It has to do a lot of hard work to earn the trust and confidence of the community as things stand." Michael said in a previous email to The Sun. "The Chief of Police has a major role to play in setting and demanding the standards from other Gazetted Officers and the rank and file officers. In some circumstances the basic service is not being provided and the intrusive supervision, management and command required is absent from the chain of command." Michael suggested there was an absence of responsibility, recommending that all officers with supervisory responsibilities should be pro-active in demonstrating their leadership, and that that there be an on-going culture of briefing, delegation, de-briefing and reporting back to ensure all tasks are satisfactorily conducted and completed. He also felt that the public did not trust the police, making it difficult for officers to get the cooperation they need to effectively solve crimes. Consequently, he recommended that the force works hard to earn people's trust and confidence. "Citizens and visitors should have the confidence to report criminal offences and incidents with the expectation of getting an appropriate and adequate response," he wrote in the report, outlining the sequence in which reports should be investigated. "Police Officers and the Police Service need to invest considerably in local residents and the wider community to engender trust and confidence which is so important to the effectiveness and success of operational policing," the 30-year veteran recommended. Michael also told The Sun the force had been left worse off by the retirement of several senior officers and the unwillingness of those who are left to accept responsibility. The internal culture needed to change, he added, and no more schadenfreude.